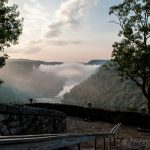 Cumberland Falls State Park, deep in the Appalachian foothills of southern Kentucky, features at its centerpiece, the wide and raging Cumberland Falls. Cumberland Falls, referred to as the “Niagara of the South” due to its water flow, has a height of 60-feet and a crest of 125-feet. It is also the only place in North America, and one of two in the world, where you can regularly see a moonbow—a rainbow at night. The moonbow is only visible with clear skies and a full moon. 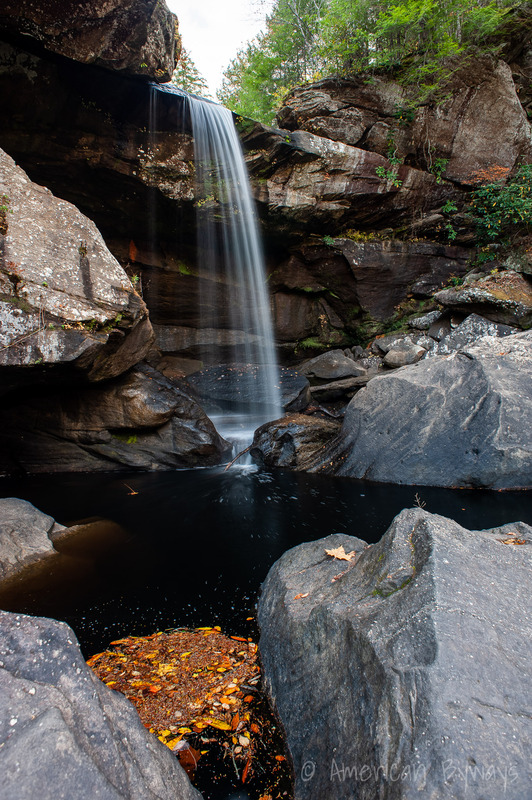 Accessible from the Eagle Falls Trail is Eagle Falls, which has a height of 44-feet and a crest of around 20-feet. 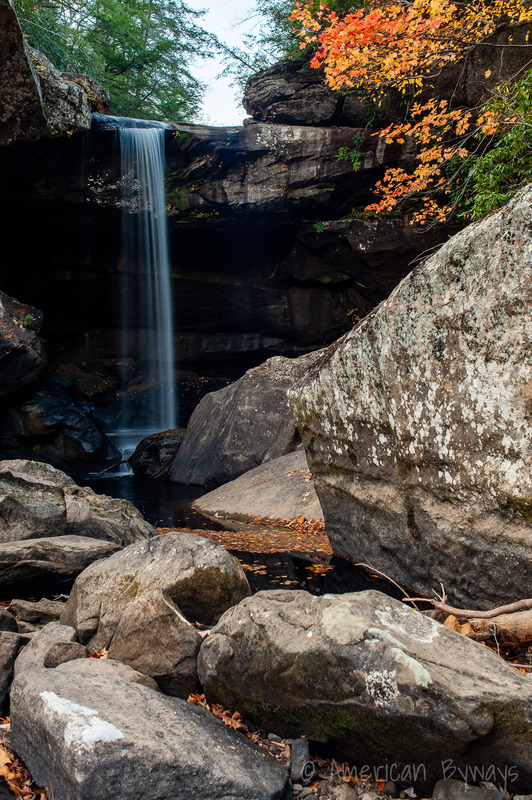 Massive boulders and impressive cliffs surround this picturesque waterfall and it is well worth the moderate hike to it. Native Americans have inhabited the area for as long as 10,000 years ago, making their home in the rock shelters at the base of the cliffs that line the river. 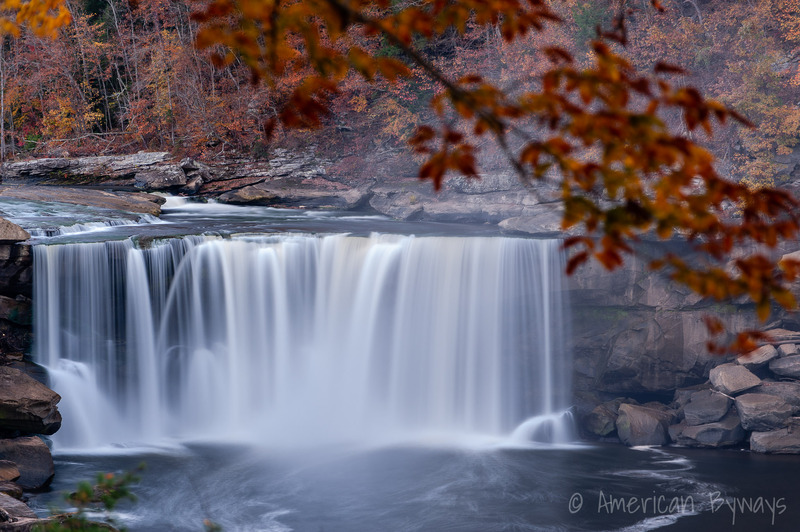 As early as 1860, the Cherokee, Chickasaw, Creek, and Shawnee nations used the areas as temporary hunting camps, and both the Cumberland and Eagle Falls were held sacred by many natives. 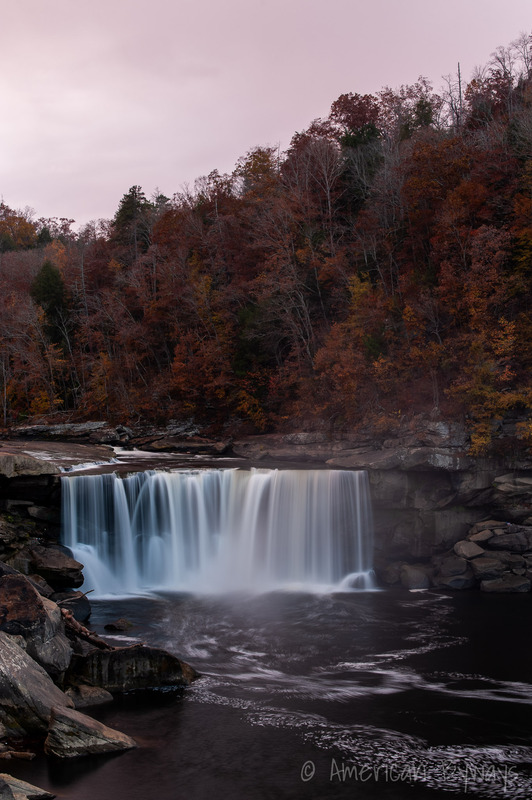 Cumberland Falls State Park was established in August 1931 and in 1933, the Civilian Conservation Corps constructed DuPont Lodge and fifteen cabins for visitors, along with campsites and trails. While the original 26-room lodge was destroyed in a fire in 1941, it was soon replaced. 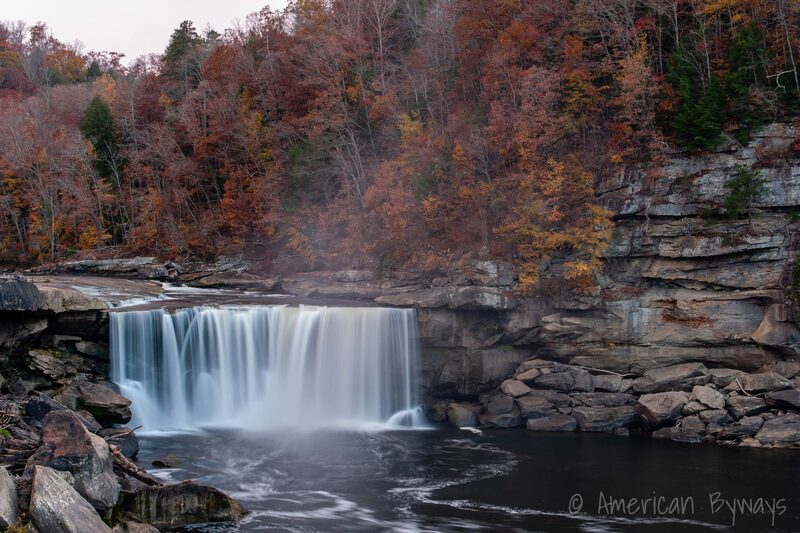 Today, Cumberland Falls State Park offers lodging in the rustic lodge with solid hemlock beams, knotty pine paneling, and massive stone fireplaces, quaint and modern cabins and cottages, and a secluded campground. The Riverview Restaurant in the lodge provides outstanding food with breathtaking views of the Cumberland River. 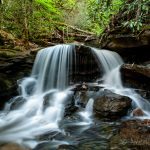 There are 25 miles of trails connect to waterfalls, overlooks, and fire towers, a 45-minute guided horseback ride through the Appalachian forest, and whitewater rafting. 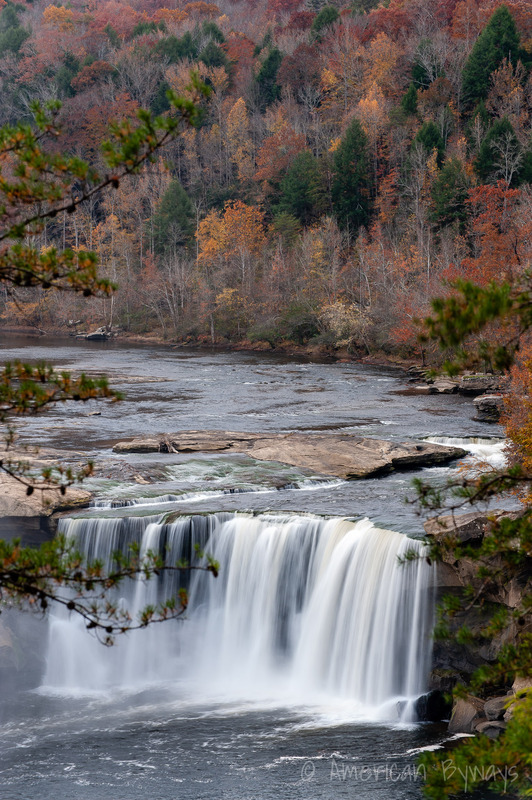 Cumberland Falls has nearly 25 miles of trails, ranging from the rugged Eagle Falls Trail to the placid Cumberland River Trail. 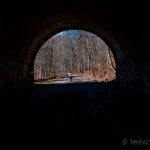 The long-distance Sheltowee Trace Trail, a 319-mile National Recreation Trail, spans the Daniel Boone National Forest and the Big South Fork National River and Recreation Area in Kentucky and Tennessee and cuts through the heart of Cumberland Falls State Park. The Cumberland Falls Trail begins in front of the historic Dupont Lodge and descends down 200 feet to Cumberland Falls. The ½-mile trail features views of the river and Gatliff Bridge. The Eagle Falls Trail, at 1½-miles long, follows the cliff line for one of the best views of Cumberland Falls. After crossing a seasonal stream, the trail descends down a set of stairs to Eagle Falls.